At ProSmiles Dental & Orthodontics, we understand how worrisome it can be to experience a sudden mouth injury or searing pain in the back of the mouth. That’s why our team of experienced doctors is here to help when you need us most. After receiving your call, we’ll make time to see you for emergency care as soon as possible. In most cases, we can even accommodate you on the very same day for fast relief that helps you return to your regular routine. Don’t wait – contact us in Fort Worth, TX today! Most dental emergencies can be neatly slotted into two different categories. First, there are unexpected events, usually involving physical injuries like fracturing a tooth or knocking one out entirely. Then, there are dreaded infections that can lead to uncomfortable “toothaches,” which occur because of lackluster oral hygiene practices at home. 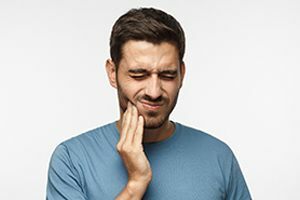 Sometimes, a toothache can be caused by a piece of food or other debris that’s caught between the tooth and the gum tissue. To rule out this possibility first, try flossing around the source of the pain and rinsing your mouth. If the discomfort persists, there’s likely a serious infection within the tooth that needs to be addressed by professional care. Contact our location right away for further instruction, and feel free to take a painkiller in the interim to manage symptoms. Chipped/broken teeth can be relatively minor in scope or severe enough to require tooth extraction. Start by gathering any large pieces of the tooth that have come loose; bring them with you to our Fort Worth location. Bleeding should be managed by applying pressure with gauze, and a cold compress can help reduce facial swelling. If the tooth now has any jagged edges, we recommend covering them with some wax or a piece of sugarless gum to avoid accidentally damaging your lips, tongue, or gum tissue. If you still have the tooth and are interested in possibly having it reimplanted, please keep in mind that this is typically only possible for an hour or so after the initial loss – that’s why contacting ProSmiles Dental & Orthodontics right away is so important! Ideally, we would like you to gently place the tooth back into its original socket and hold it there. If this can’t be safely accomplished, then carry it in a container of milk instead. 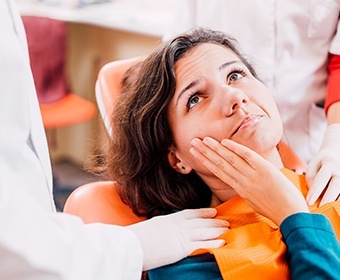 Losing a dental restoration isn’t as severe an issue as the above emergencies, but it can still lead to painful sensitivity and pressure for the patient. It may be possible to reposition crowns with the help of some denture adhesive or dental cement – just ask for these products at your local pharmacy. Be sure to contact our office right away so that we can schedule an appointment to replace or reattach the filling/crown. Remember to schedule a professional dental checkup and cleaning every six months, or twice each year. These visits will help our doctors catch any concerning damage in the earliest stages possible. Who knows – we may be able to stop the potential dental emergency of tomorrow in its tracks today! Use scissors or appropriate tools when opening packaging materials. Don’t resort to tearing through them with your teeth. Don’t chew on the solid ice in a cold drink. Additionally, we urge you to exercise caution when eating foods that are overly tough or sticky. Remember to wear an oral appliance as directed (preferably a custom-made one from our office) when playing sports with physical contact and/or if you know that you suffer from habitual teeth grinding. Solutions for dental emergencies can vary widely from person to person. 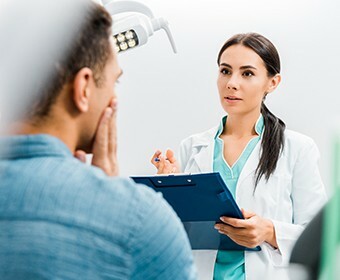 Some symptoms may be easily treatable with a simple prescription for medication, while others could require an involved extraction, root canal therapy, or comprehensive tooth replacement. At your initial appointment, our dentists will focus on relieving any painful symptoms first before developing a custom treatment plan that matches your personal needs and circumstances. 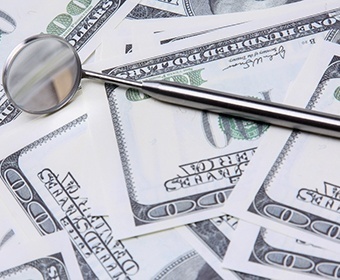 All cost information will be provided clearly and transparently, with no unexpected “surprises” to worry about. ProSmiles Dental & Orthodontics is happy to work with virtually all major dental insurances, and payment plans are available as well.